Bitcoin Month Recap: BTC is Suffering but It’s Hanging in There! 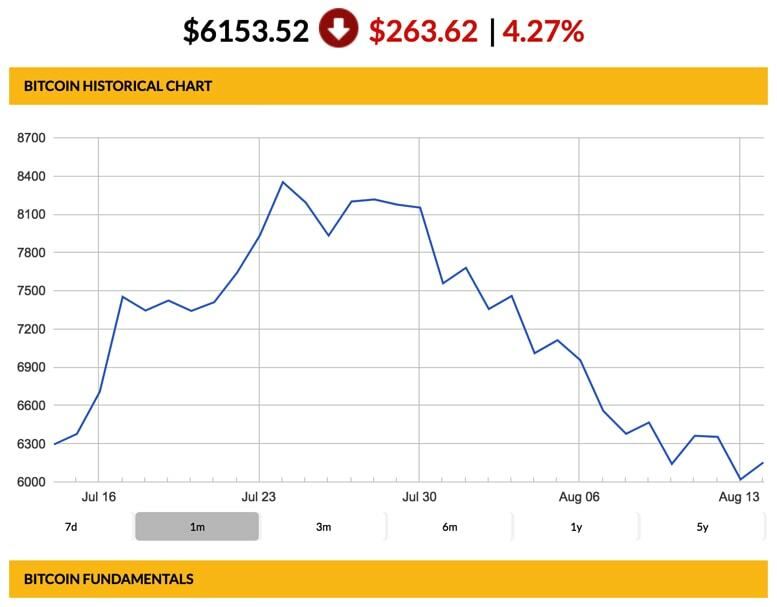 Bitcoin Price Watch: Yesterday saw Bitcoin (BTC) price fall to almost below $6,000. But what about today? First, let’s recap the last month. 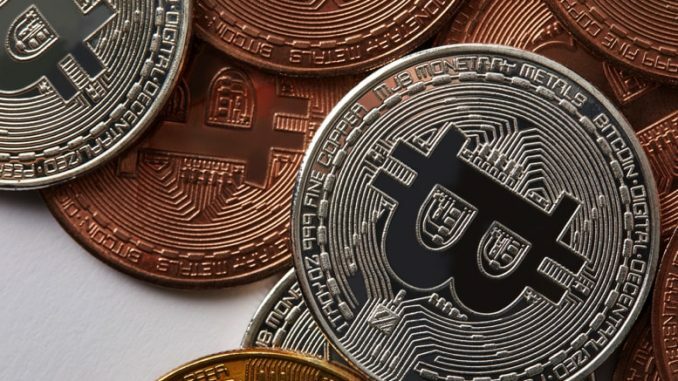 Mid-July was looking promising for the coin as it began a sudden bull-run which saw Bitcoin climb to a peak of around $8,450. But typically reflective of this volatile marketplace, the highs did not last long and BTC has been on a steady downward climb since hitting the peak. Once August kicked in, it seemed any progress made in those impressive two weeks in July, was lost. This meant that investors only saw monthly gains of 3%. It was looking as if it was going to be much higher than that. As it stands, today — Tuesday — looks pretty gloomy across the entire market as all the major coins are in the red. Bitcoin itself is down almost 5% in the past 24-hours but some major coins such as Ethereum, are suffering almost a 20% loss; currently, ETH is down a whopping 19.03% at the time of writing. In fact, in the past 30 days, ETH has slipped almost 40%. Comparatively, though, Bitcoin is holding on in there. Traditionally speaking, the Bitcoin price tends to dictate market trends; if it is climbing other coins follow suit and likewise the other way. Is Rogers correct? Other major assets have dropped anywhere between 10-15 percent of their value including Ripple (XRP), Litecoin (LTC), EOS (EOS), and Cardano (ADA). We’ve seen these trends before though? and if Bitcoin’s most recent bull run could start as suddenly as it did 2 weeks ago, who’s to say it won’t do it again? 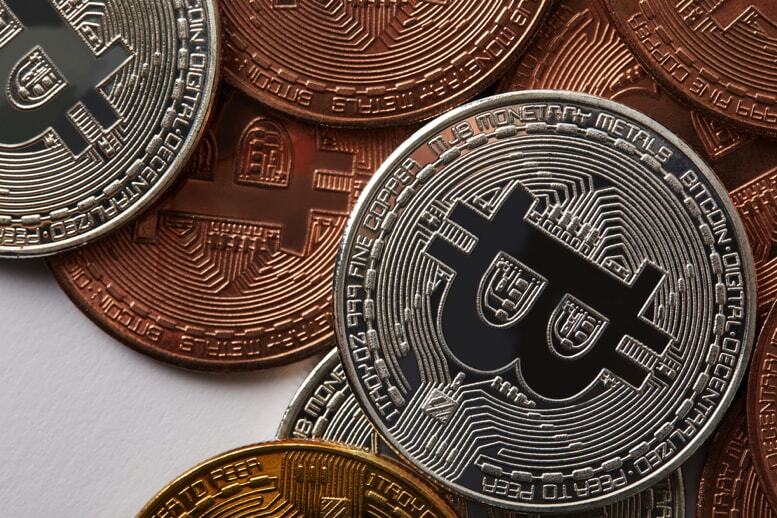 This article was originally published by Cryptocurrencynews.com. Read the original article here.